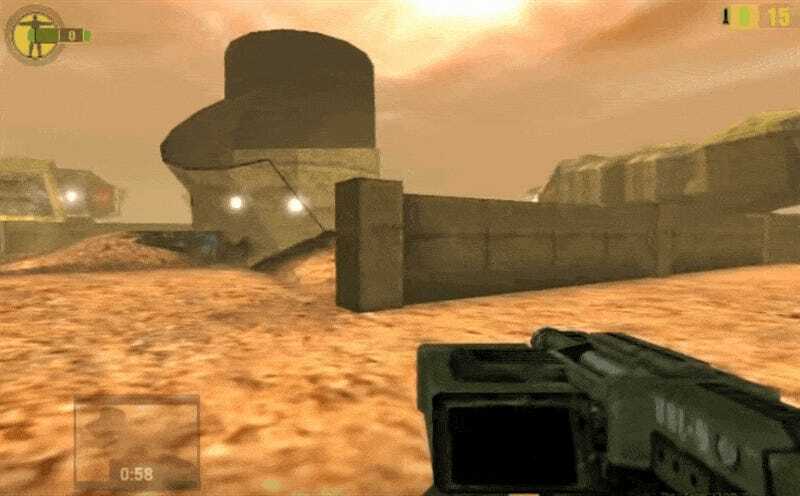 On May 21, 2001, developer Volition and publisher THQ took gamers to Mars and let them blow the living hell out of everything that moved and most things that didn’t. Red Faction is a game about a miner revolt on Mars in the year 2075. Earth’s resources have been depleted and a vile corporation has set up a mining operation on the red planet in order to exploit workers and something something plague. Really the plot isn’t all that important. What’s important is the GeoMod engine, which allowed terrain and buildings to blow up real good. Would you rather go through a door, or shoot the wall surrounding the door until nothing was left but a gaping hole? The first choice is more practical, but it’s nowhere near as satisfying. Here’s a look at GeoMod destruction in action, courtesy of Youtuber gooberCP. Red Faction made its debut on the PlayStation 2 on May 21, 2001. It was later ported to Windows, Mac and N-Gage. That’s right, N-Gage. Three sequels were released—Red Faction II, Red Faction: Guerrilla and Red Faction: Armageddon, each installment amping up the destructive elements. THQ dropped the series in 2011, citing poor sales of Armageddon. Is there a chance of Red Faction returning? Following THQ’s implosion the rights were picked up by Nordic Games, but original developer Volition has stated it will not continue with the series. Either way, I’ll always have fond memories of the Red Faction series. We did horrible, horrible things to Mars together.